Okay! Today is Halloween, a day of gore and horror. Inktober is not making this a “safe” subject for today, either – SLICE! Really? You can get pretty gruesome with that one. 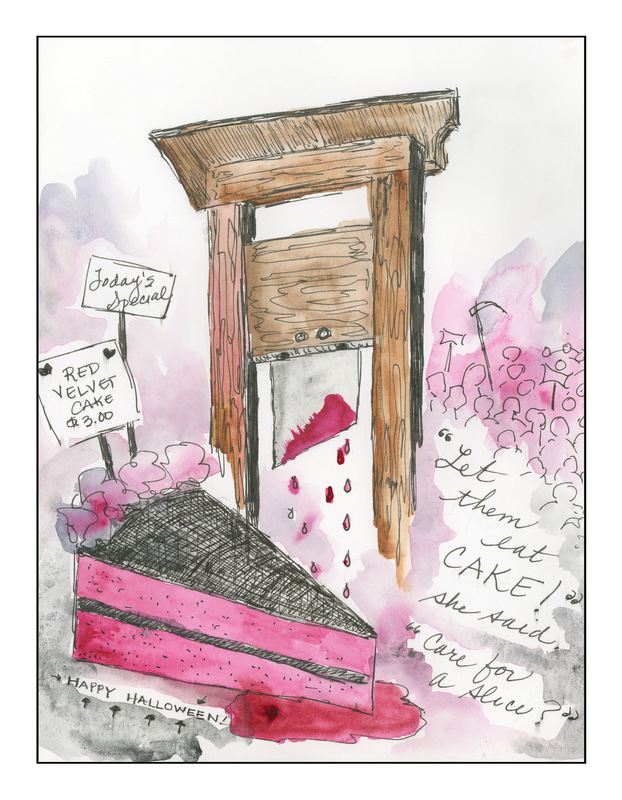 So, with a hail to famous or infamous quotes, a slur on red velvet cake (which I dislike intensely), I bring you a slice of history, a slice of cake, a slice of the macabre, a slice of my own sick sense of humor, and best wishes for a fun and scary Halloween. Happy Halloween -N-. Such a cute and fitting piece. Made me smile.